Kava Club proudly presents an auricle Mix Tape Tour for your savy self. Barber Black Sheep : The Politics of Hair. The irrepressible Chop Suey Hui and Kava Club crew are back with a vengeance with Barber Black Sheep: The Politics of Hair, Wednesday 24 May 2017. Observing the trend of barbershops opening over the last five years around the Capital, our MCs Ati and Liz will converse through a day in the life with new entrepreneurs about how, why, and where to next. Talkshow aficionado Kava Clubber Kassie, with special guests Afronesian mama Savali; Liz 'Lashes' Ah-hi and Rachel 'P Diddy Combs' Pahulu from Te Papa share influences between African American and Polynesian hair culture; daily resistance to Eurocentric standards of beauty to pre-missionary times and how some of our ancestors got their hairdid and why. Stylists supervisors: Liz, Mish, Kassie, Tony, Ati, Ash, Bridget and Leilani will welcome the amazing Welly creatives from around the way. With ongoing support from CreativeNZ (Pacific Arts) and Tautai Pacific Arts. Kia ora, Kia Orana, Talofa lava, Malo e Lelei, Fakatalofa atu, Ni sa bula vinaka, Fakaalofa lahi atu, Malo ni! Woop woop - once again Measina Fesitval is set to deliver the goods! Wednesday 30th of November from 6pm. FREE. We'll be serving up the usual chop suey plus making badges with The Liberated Badge Maker. Child under 16 years. Under 5s free on parents' knee. Kava Club is pretty happy to announce that we're finalist in the Wellington Airport Regional Community Awards 2016. Only our 3 best scrubbed-up members can go, which is okay because the rest of us can wait for them at the pub anyway. Ten Guitars will be held at Moon Bar in Newtown, Saturday 18 June 2016. The line-up of talented musicians from around the way conjure up their own take on the song, “Ten Guitars” live for one night only. A response to a long relationship with a familiar tune from a bygone era, reinterpreted within the ‘space’ created by Kava Club for the evening. On the decks playing music by indigenous and Pacific artists will be Anton 'MC Antsman' Carter, and debuting her talents as a Selecta, Welly's own chanteuse, Ladyfruit. Kava Club is also proud to announce live acts from Pacific Underground, recipients of the 2016 Lifetime achievement award at the annual Vodafone Pacific Music Awards. Other performers include the smooth dulcet tones of Mara TK and the amazingly vibrant Maori Side Steps. Special guest DJ Linda T from Auckland art collective D.A.N.C.E. will be promoting the event Saturday day at a pop up site in Wellington city. There will also be guest appearances from other artists on the night. In celebration there will be a special Kava Club pizza paired with Kereru's Wood Fired Toasted Coconut Porter. The theme 'Ten Guitars' is in part a nod towards the popular Engelbert Humperdinck song, acknowledging kiwi crooners and entertainers such as the legendary Prince Tui Teka and artworks such as Michael Parekowhai's Ten Guitars (1999). Kava Club is funded by Creative NZ and with the continued support of Tautai Pacific Arts Trust - aiming to reach out to new audiences and artists. 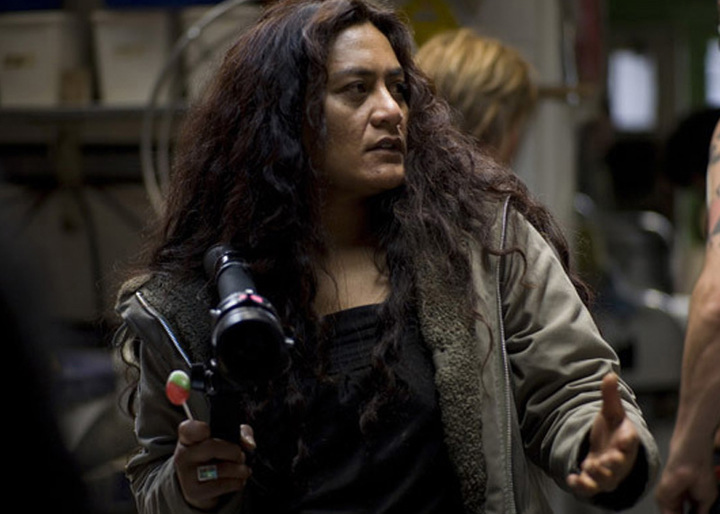 Kava Club will be hosting a Chop Suey Hui at the 2016 Siapo Cinema held at Ngā Taonga Sound and Vision. We'll be screening Angela Sun's Plastic Paradise: The Great Pacific Garbage Patch. This will be followed with a panel discussion by activists Pala Molisa, Teanau Tuiono, Ahilapalapa Rands and Tina Ngata. And then we'll eat of course!